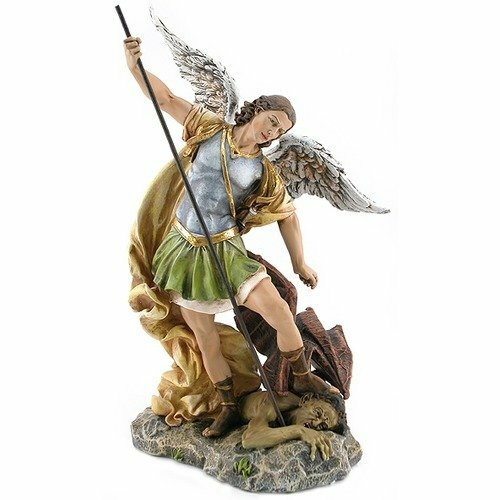 Part of the Renaissance Collection figures by Joseph's Studio, this gorgeous statue of St. Michael defeating satan has amazing details. St. Michael's sash and belt have gold accents for a rich, artful presentation of the Heavenly Defender. Attractive design to be appreciated by anyone.